Welcome to Courchevel, the international prestigious resort located in the 3 Valleys, the world’s largest ski areal (600 km of pistes). 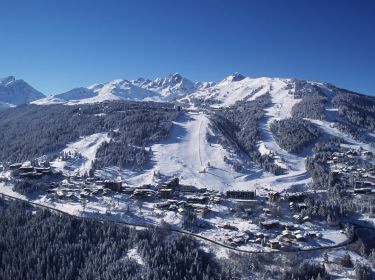 The five Courchevel’s villages are all home to ski-in/ski-out accommodation. Both skiers and non skiers will discover a unique and magical valley through the wealth of activities on offer, from sheer relaxation to adrenalin filled action. Whether you are looking for tranquillity or excitement, culture or unforgettable experiences, anything is possible in Courchevel! Aim for the exceptional! A part of the resort which is most definitely family-orientated offering excellent value for money, fast and direct access to Courchevel 1850, as well as the whole of the 3 Valleys ski area. The toboggan run which leaves from 1850 and finishes in 1550 is a thrilling ride for adults and children alike!